Deepen the study of changes in average incomes. 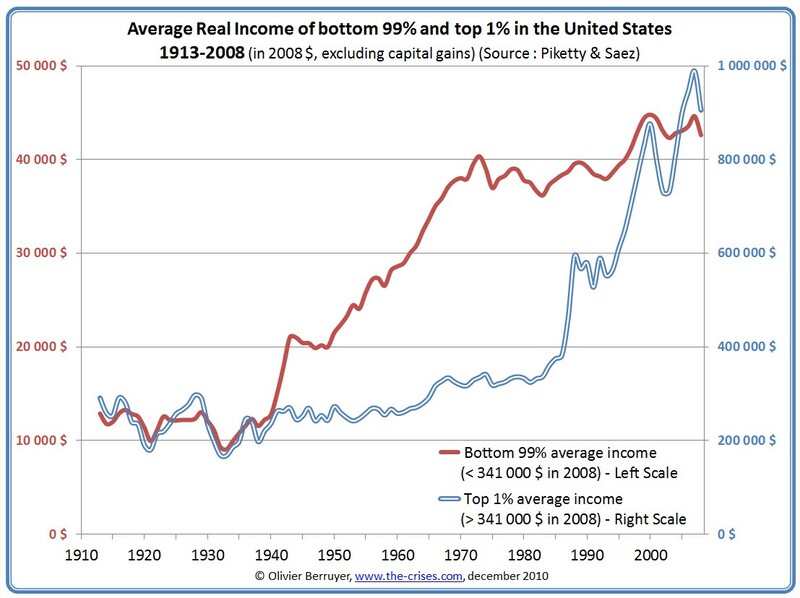 The following graph compares the average income level of the top 1% and Bottom 99% (in constant dollars 2008) for a century (logarithmic scale from 1 to 5). We notice that the effect of the « Great Compression » (to borrow the term from Paul Krugman) occurred during the 30 Glorious Years: the average income of the vast majority of the population has stagnated until 1940, strongly and steadily increased until ‘in 1973, and finally has stagnated since. 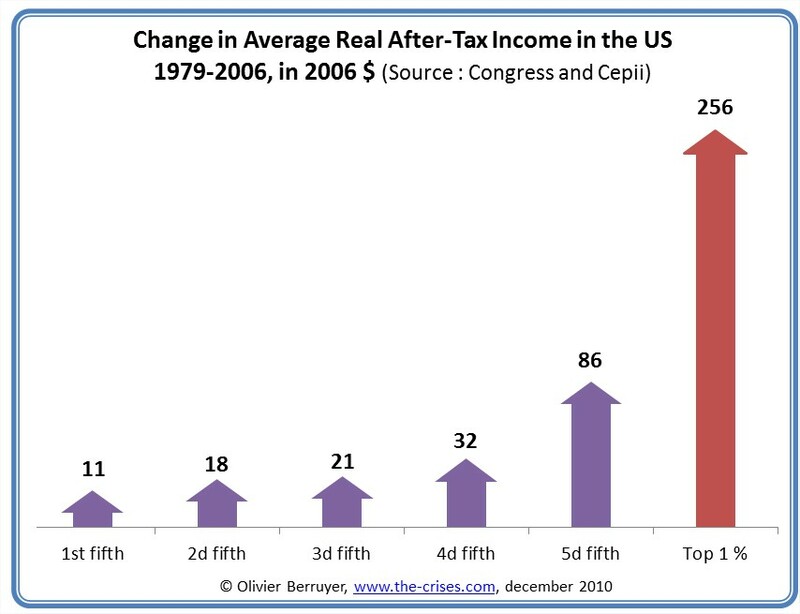 The previous scheme, based on the work of the Congress of the United States, shows the capture made by the top of the income scale, even after taxes. 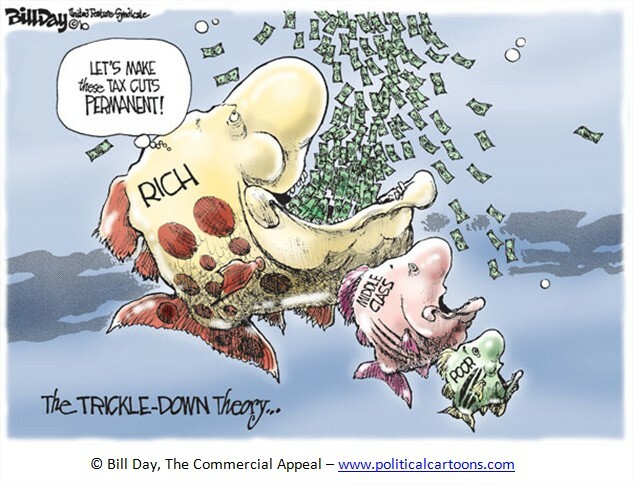 In nearly 30 years, net revenues in constant dollars of Top 1% increased by 256%, while those of 80% of the population only increased by 10-30%. The table above shows how a tiny minority phagocyte income. 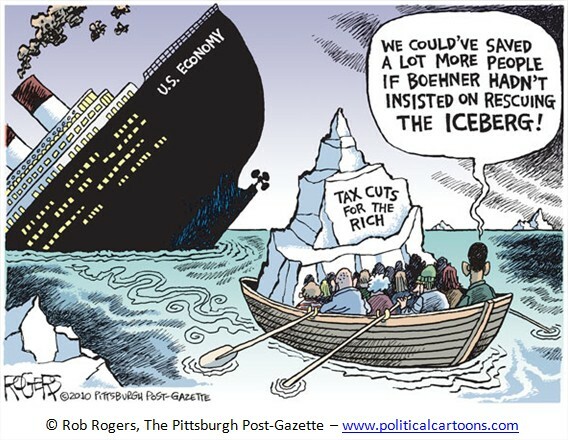 Thus, during the expansion Bush, the top 1% alone captured 65% of the total mass of new annual revenues. 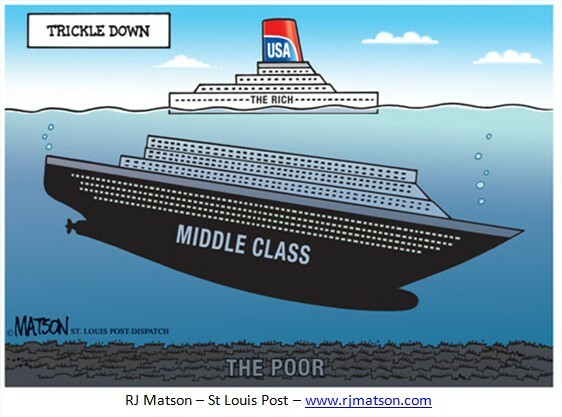 Conversely, it has captured 47% of the recession in 2008. 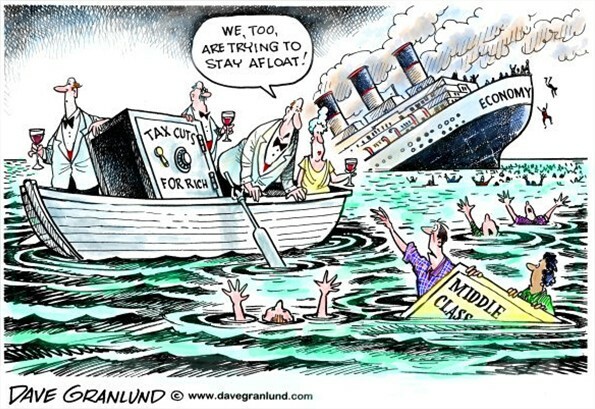 Thus, over the past 15 years, and during two cycles, there are 52% of new revenues in the country who went to the Top 1% only. 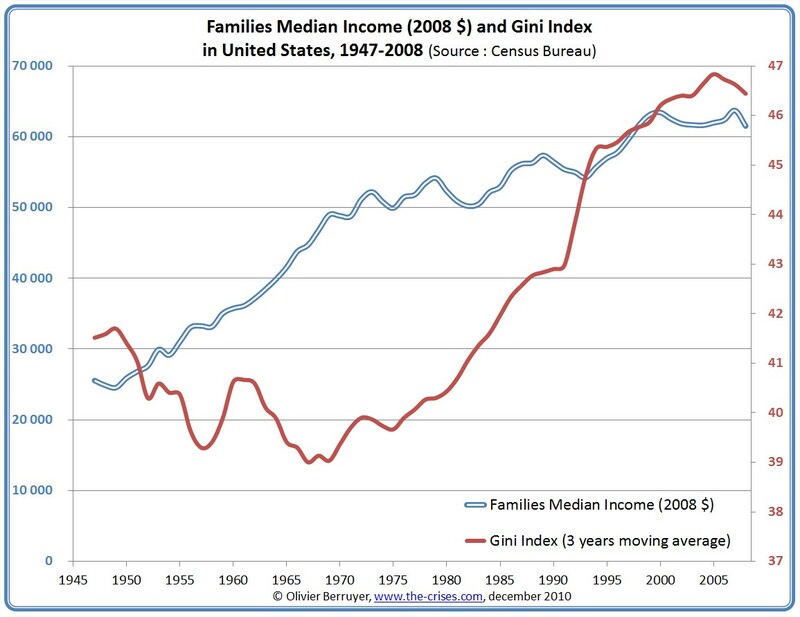 It is observed on the uplifting chart above, showing the evolution of the different quantiles of average income, base 100 in 1996. 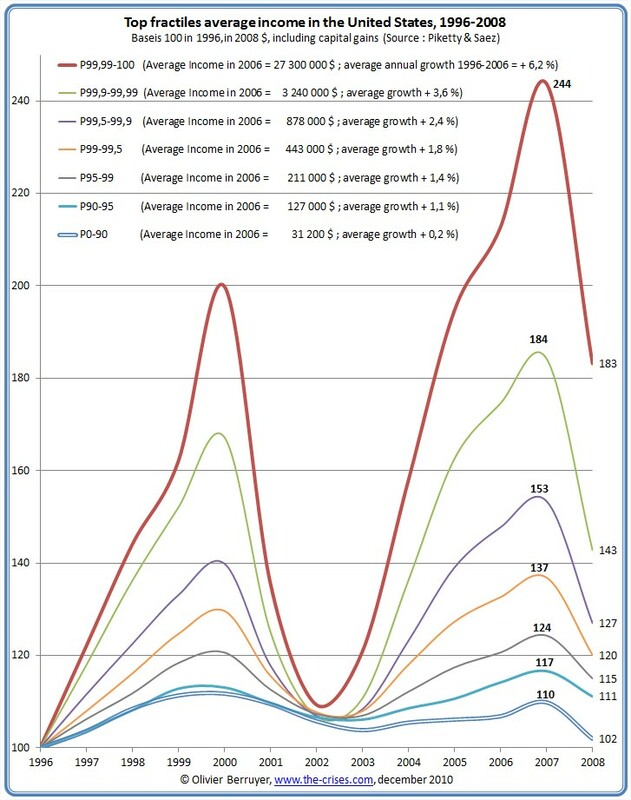 We observe an impressive annual growth rates of the top 0.01% in 1997 +22%, +18% in 1998, +13% in 1999, +24% in 2000. And after the crash, again in 2004 +31%, +23% in 2005, +9% in 2006, +15% in 2007. These phenomenal increases seem to be an excellent predictor of major crises. 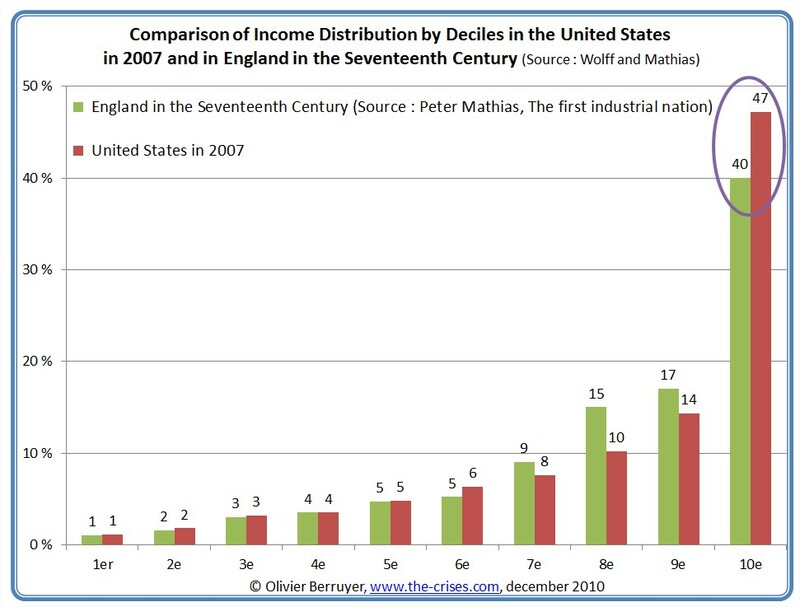 We conclude on a note of this historical analysis of U.S. income: The following two charts show the distribution of income in the United States in 2007 and England in the seventeenth century (thanks to the remarkable work of Peter Mathias, who has analyzed the income of all classes of the population). 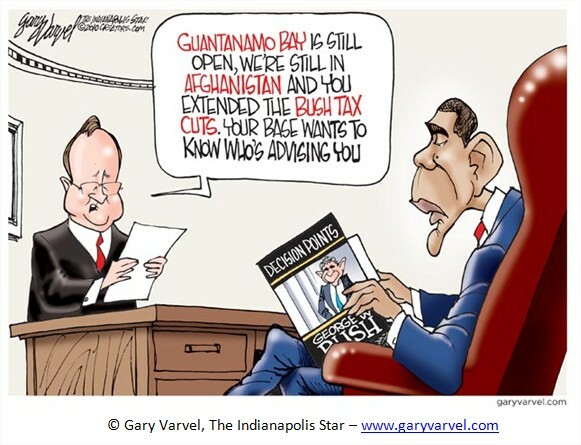 Thank you for the charts and cartoons! I would love to see the data updated through 2011. This data stops at 2008 in the middle of the Recession. 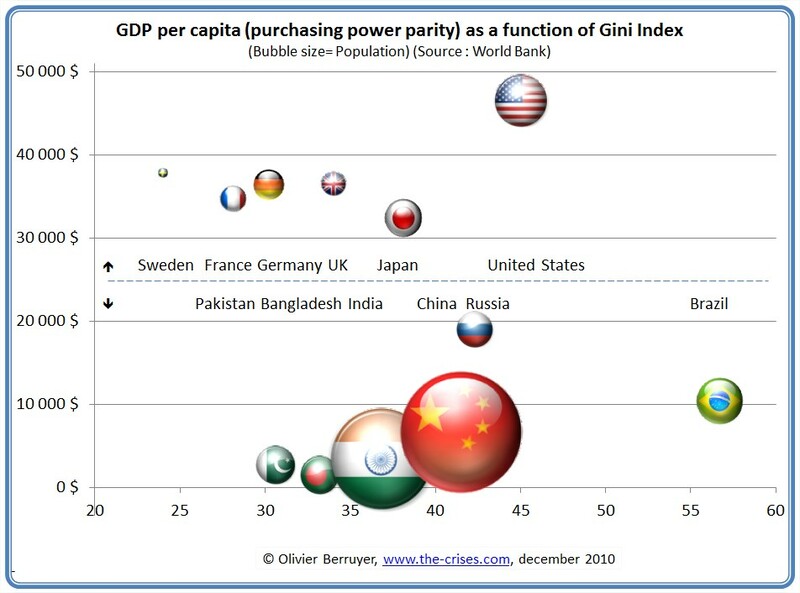 By 2010 we will see the graphs going back up and reaching new heights for the top percentiles. 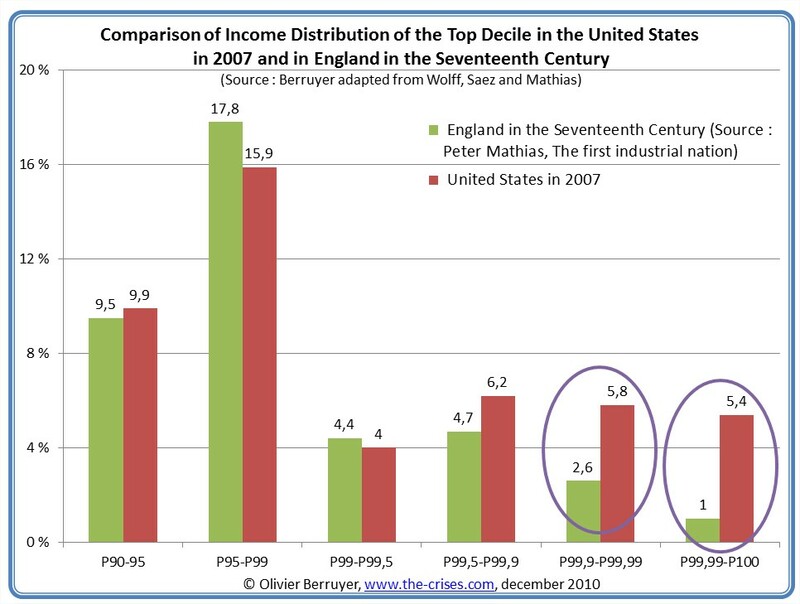 Répondre à Comparisons of income distribution in the USA in 2007 and England in the 17th century (2 charts) « Real-World Economics Review Blog Annuler la réponse.